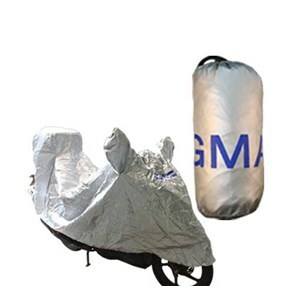 Body Cover GMA is one of the motor parts that form a blanket or cover body motorcycles. This product serves as a protection from dust, heat and rain at the time of parking. 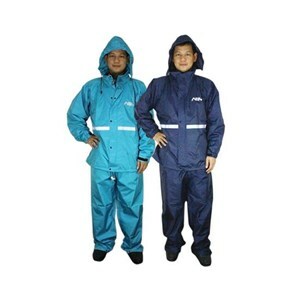 ASV Raincoat is waterproof garments are worn to protect the body from rain. The main function of raincoats to minimize the entry of water on parts of the body and clothing. Most raincoat made with bright colors for easy wearer look during heavy rain when visibility is reduced. Welcome to Toko Maju Motor. We are a company that established since 2012 engaged in industrial Acessories, Spark Plug, Sport, Apparel, Matic, Moped. We were in Jl. Kebon Jeruk IX No. 26. Discover the variety of our best products (Aksesoris Motor, Kedok Lampu Satria Fu, Busi, Cover Body GMA, Klakson, Jas Hujan) with quality and the best price you can get.